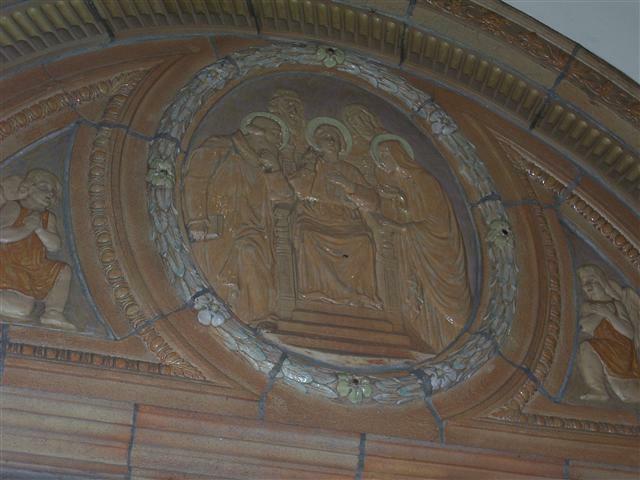 The Finding of Jesus in the Temple: one of six terra cotta oval reliefs in the church narthex, depicting events in Christ’s early or private life. Luke’s account of this event (Luke 2:41-52) is the Gospel for Sunday’s Feast of the Holy Family. Thursday, January 3 at 8:00 p.m ~ Bingo will be played in St. Charles Hall. Saturday, January 5 at 8:00 p.m ~ Bingo will be played in St. Charles Hall. Elizabeth Ann Seton is one of the keystones of the American Catholic Church. A convert to Catholicism, she founded the first American religious community for women, the Sisters of Charity. Widowed at the age of 30, she opened the first American parish school in Baltimore, Maryland as a means of supporting her family. She also established the first American Catholic orphanage. She did all this in the span of 46 years while raising her five children. St. Elizabeth Seton suffered great trials of sickness, misunderstanding, the death of loved ones (her husband and two young daughters) and the heartache of a wayward son. She died January 4, 1821, and became the first American-born citizen to be beatified (1963) and then canonized (1975). The Altar of Sacrifice at Blessed Trinity contains a relic of Mother Seton. 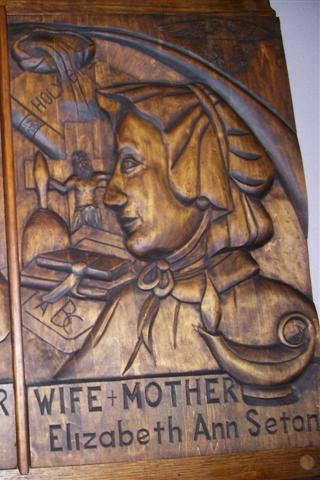 This woodcarving, a gift of the Southtowns Woodcarvers of WNY, is affixed to the church’s left (east) transept wall. 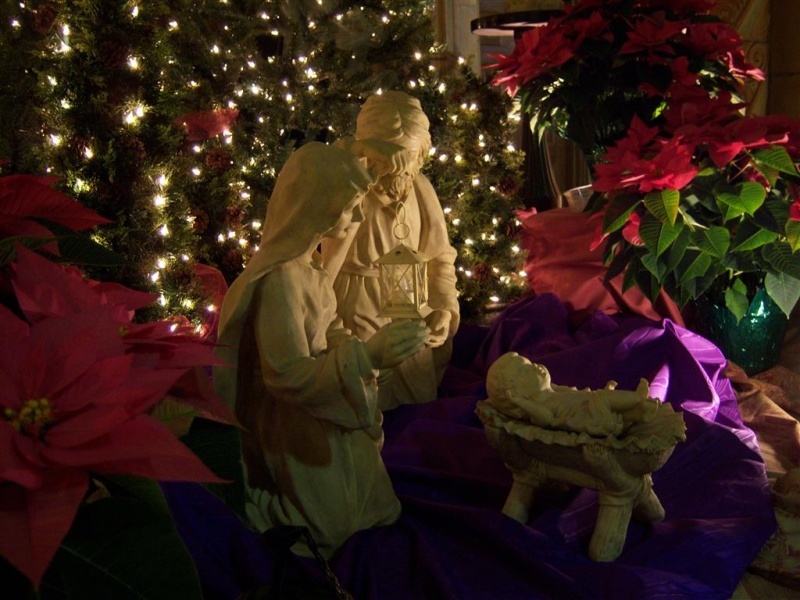 Christmas in the City ~ Holy Family Sunday, December 30, starting at 2:00 p.m. at St. Lawrence Church, 1520 East Delevan Ave. CCCB Church families, musicians, and choirs come together to celebrate our Christmas Faith. Bring you favorite Christmas cookies to share. Beverages are provided. CCCB parishes: Blessed Trinity, St. Columba/Brigid & St. Ann, St. Katharine Drexel and St. Martin de Porres. Looking Ahead ~ The annual Mass honoring Dr. Martin Luther King, Jr. will be celebrated on Sunday, January 20, 2013, at St. Katharine Drexel Church at 2:00 p.m. Bishop Richard Malone will be the main celebrant. The guest homilist will be the Rev. Michael Upson from Rochester. In early January, we will have full information about this event. International Crèches on Display ~ Father Roy Herberger invites you to experience a display of 385 nativity sets from 55 countries. These international crèches will be shown at Ss. Columba-Brigid Church located at 75 Hickory & Eagle Sts. (one block south of Clinton). The hours are from 1 – 4 p.m. every Saturday and Sunday in December and on January 5 and 6. There is no charge and there is a special section for children.